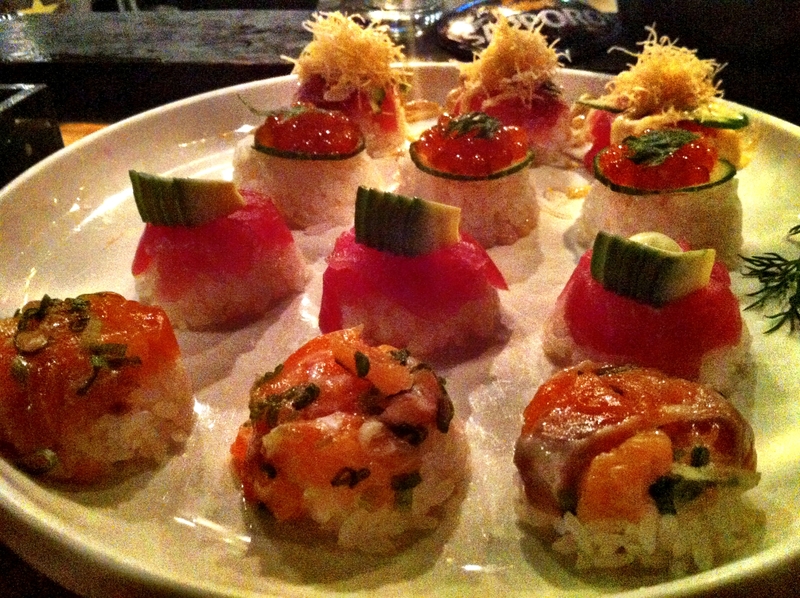 Bozu, in Williamsburg, New York, is a dark little den of sushi. Every man (customers, not wait staff) in the place wears a tight black t-shirt, and the air is as cool and damp as their specially filtered water. They even have their own language. A “bomb” is a plate of round sushi, not hemmed in by nori. The rice is warm, and the bite of wasabi between that and the fish makes it just spicy enough. “Deep fried” tomato gyoza actually seems more like a baked wonton, but the tomato flavor is deep and rustic. 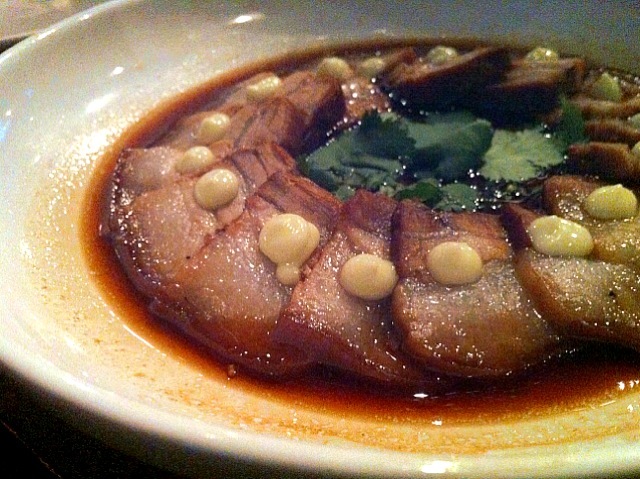 Pork “betty” is slices of pork belly marinated in sake and sweet soy, served with cilantro. Something about eating pork belly with chopsticks makes it seem almost good for you.